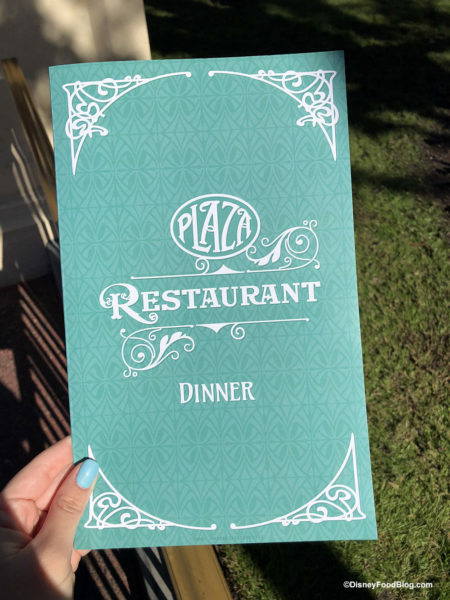 The Plaza Restaurant has updated their menus and added a new-ish dinner menu! 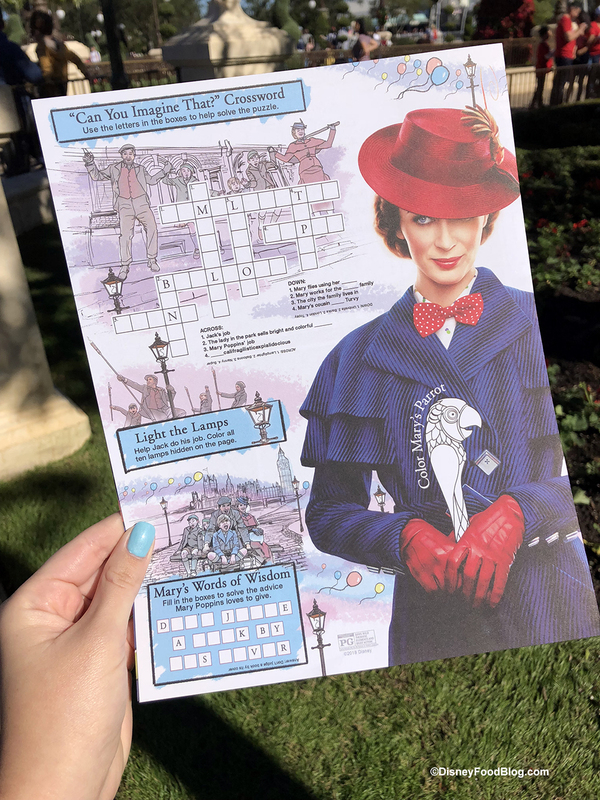 The kids’ menus now feature art from Mary Poppins Returns, too. How cute is that? 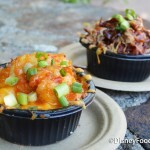 Click here to read the full story about The Plaza’s updated menus. Guess what? 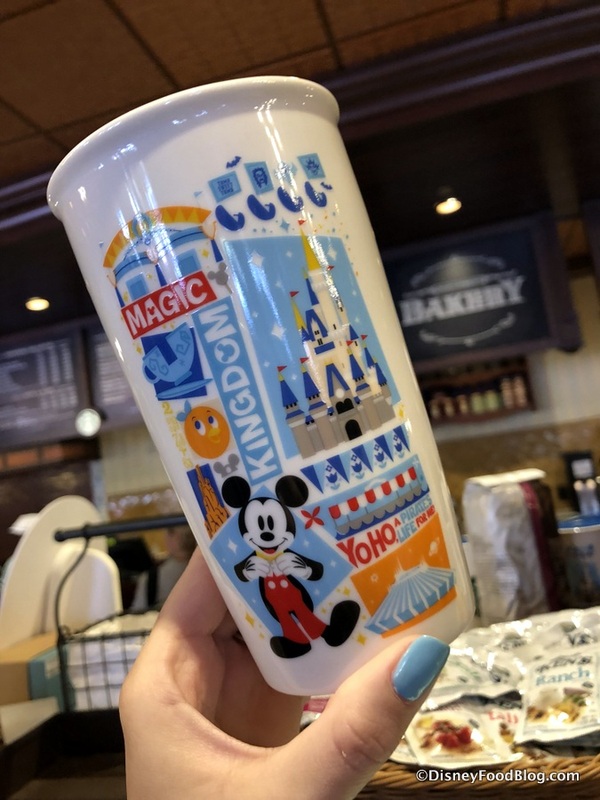 A new Magic Kingdom tumbler has arrived at the Main Street Bakery! The 12 Days of Christmas Dogs is in full swing at Casey’s Corner! 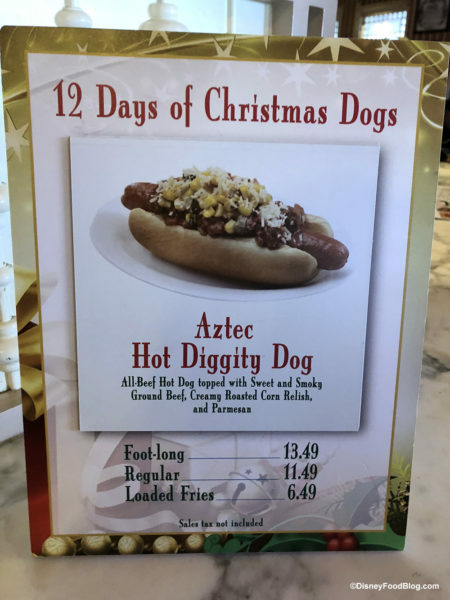 The Aztec Hot Diggity Dog was the hot dog of the day during our visit. 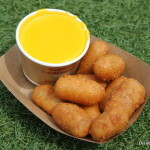 Did you miss out on any of Casey’s Corner’s specialty hot dogs this year? 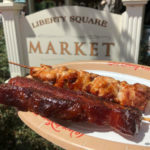 Check out our 12 Days of Christmas Dogs post see which day you can get your hands on the hot dog you want! 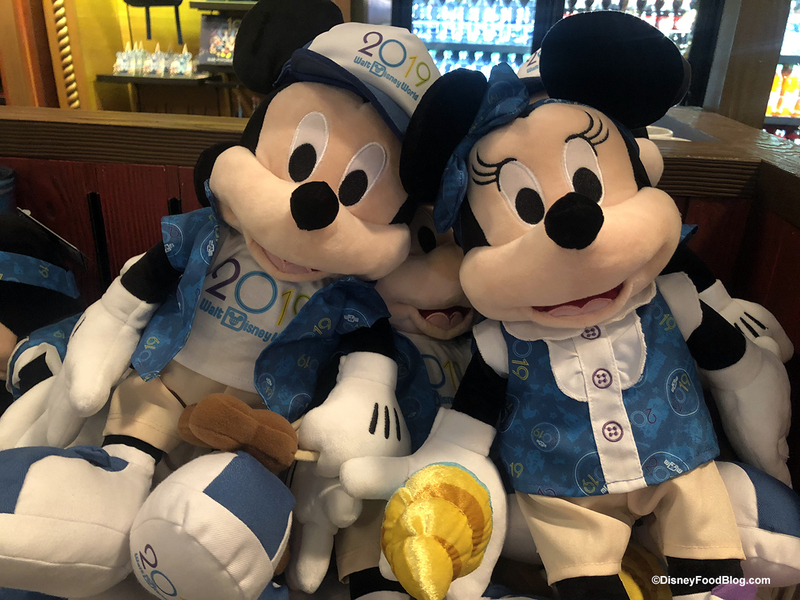 Disney’s Guest Experience Team is here to help you make the most of your visit! 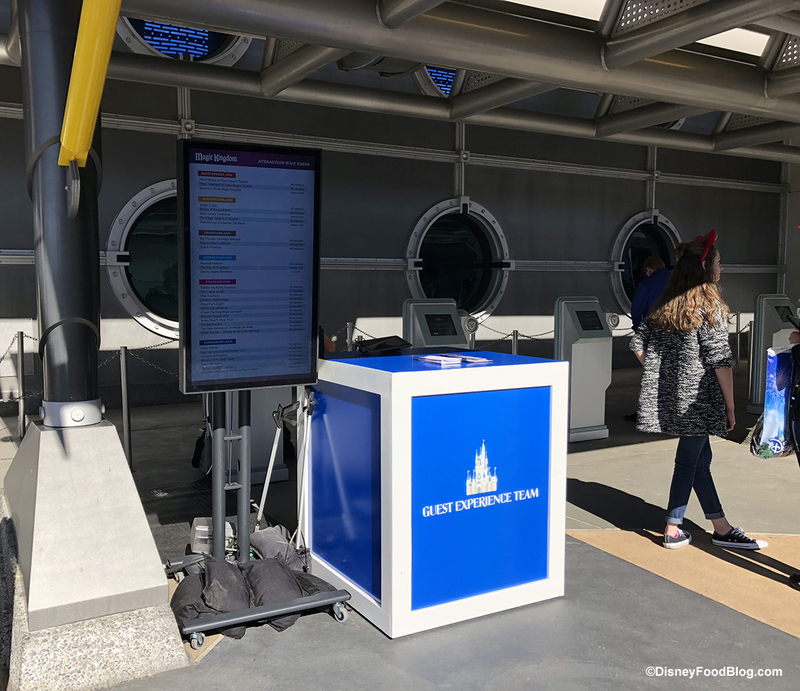 They have kiosks set up on Main Street, USA and in Tomorrowland and will have representatives present throughout the park. 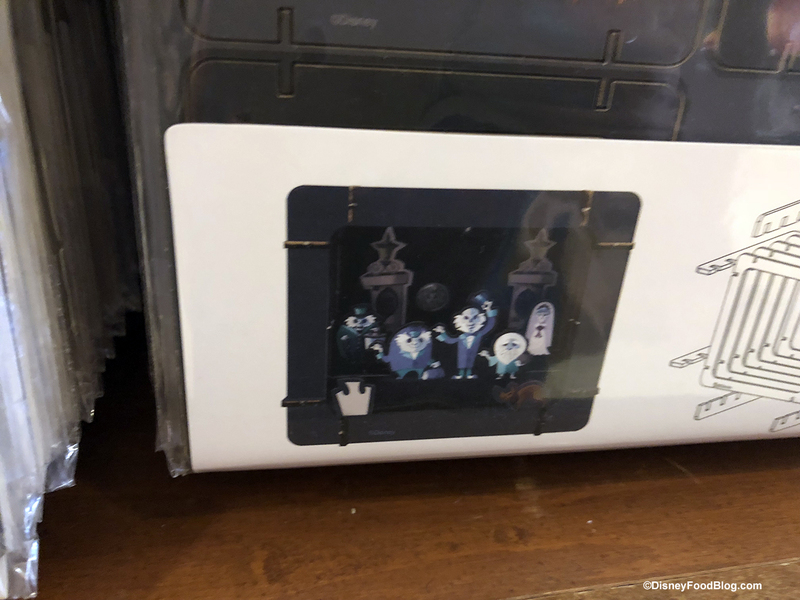 Remember the fun Nightmare Before Christmas 25th Anniversary Collection from Harveys? Well, they’re back with a Sorcerer’s Apprentice collection! Find it at Uptown Jewelers. 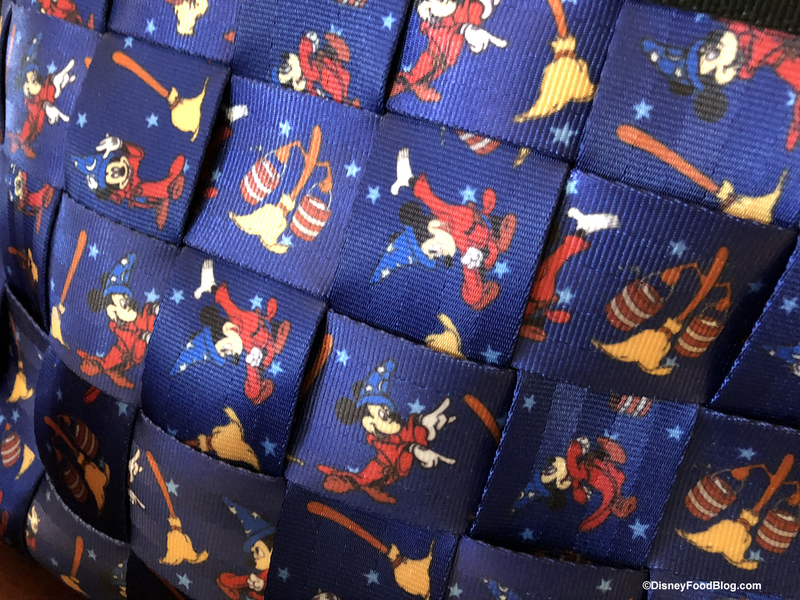 Read all about the Harveys Sorcerer’s Apprentice collection here. 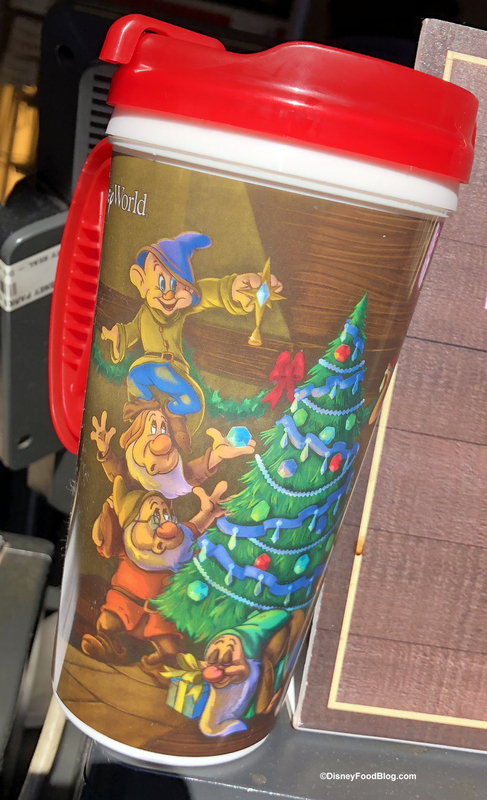 Remember the Snow White and the Seven Dwarfs holiday mugs we saw at Animal Kingdom last week? The same mugs are now available at Westward Ho Refreshments! According to the Magic Kingdom‘s times guide, the Riverboat is scheduled to be open to guests on Saturday, 12/22! 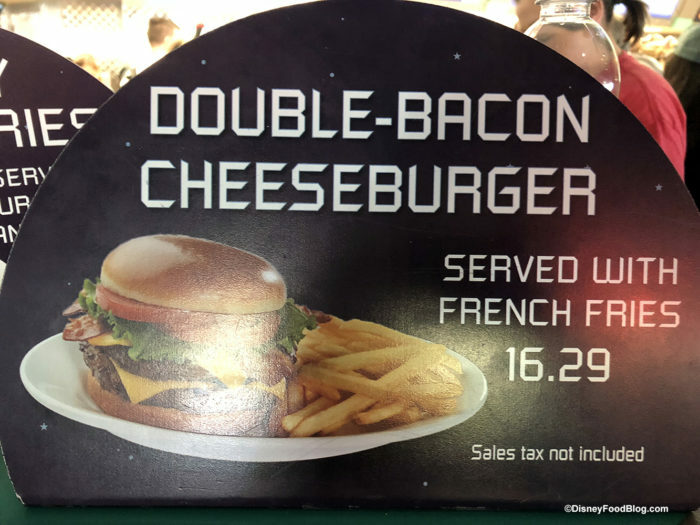 Cosmic Ray’s Starlight Cafe has some new seasonal offerings! 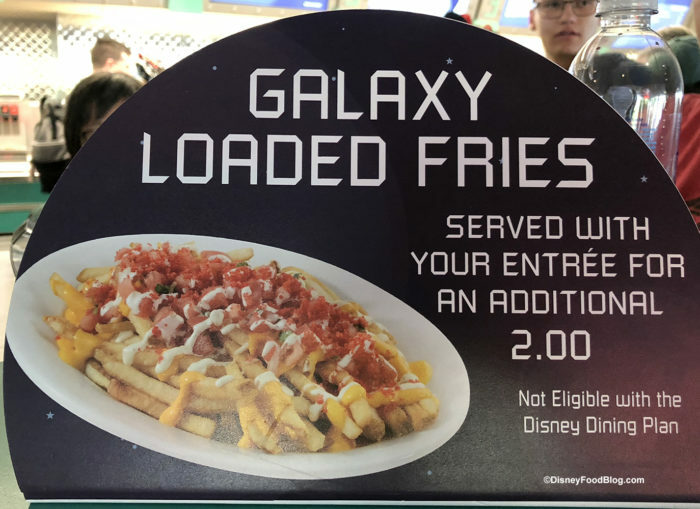 Loaded Galaxy Fries, which were previously only available via Mobile Order, are now available to pair with any entree. Cosmic Ray’s is also featuring a Double-Bacon Cheeseburger! Meanwhile, under the watchful eyes of Roz (we assume), the Monsters, Inc. 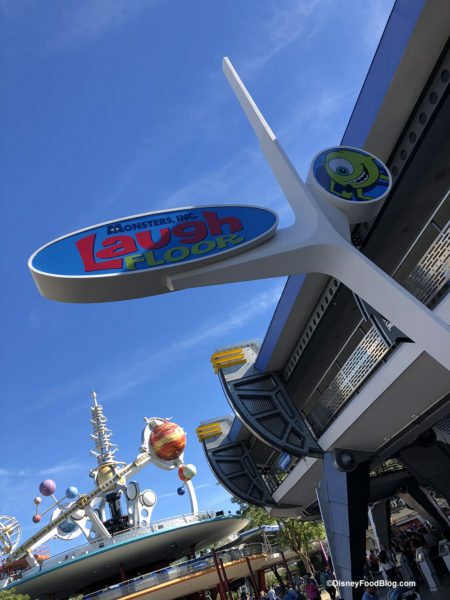 Laugh Floor got a brand new sign! 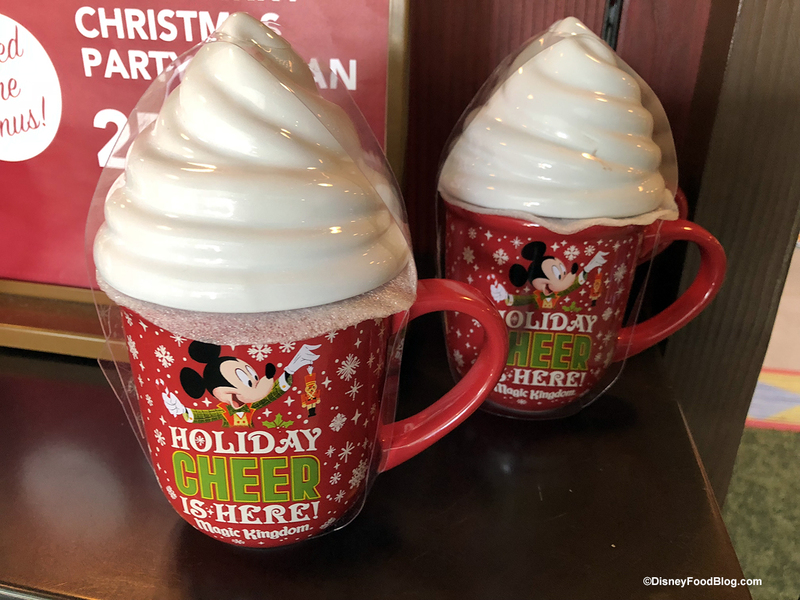 A few Mickey’s Very Merry Christmas Party-exclusive items are on sale! 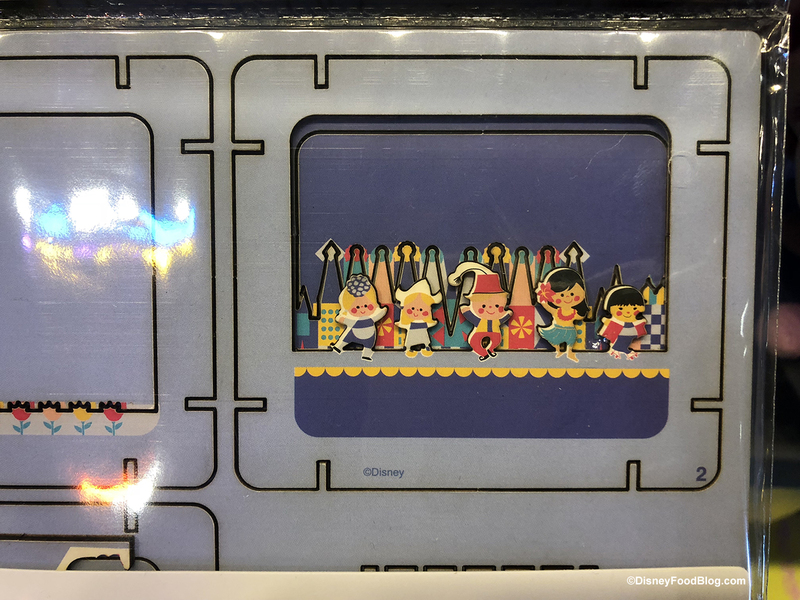 And nope, you don’t have to have a party ticket to be able to purchase them. 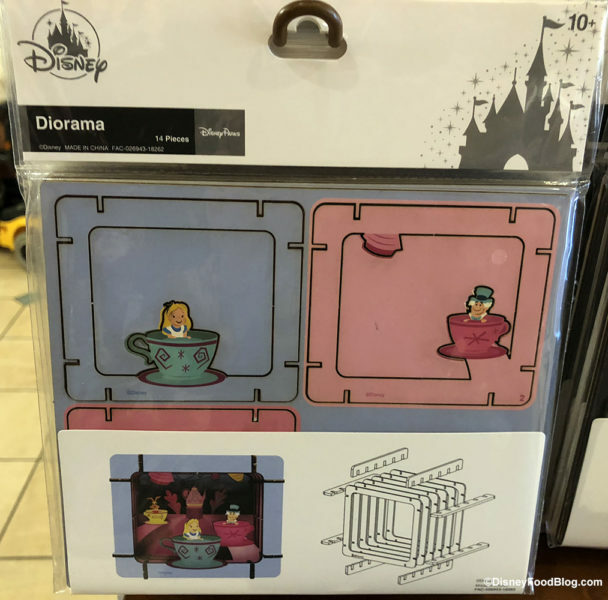 Find mugs, ornaments, tees, and more. Check out all of the holiday sale goodies here. 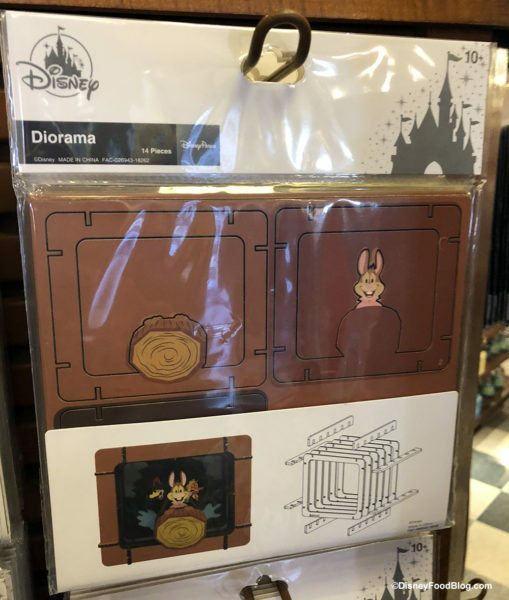 We still have a few more weeks of 2018 left, but the 2019 merch has arrived! 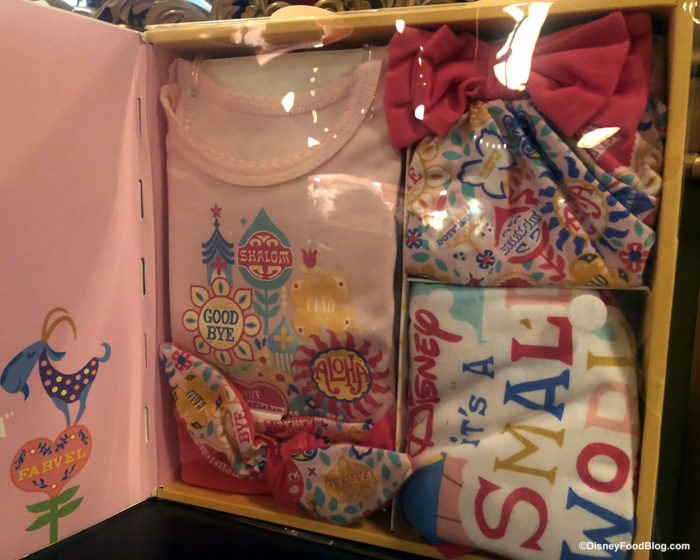 See photos of all of the 2019 merch right here. We also spotted some Dumbo and it’s a small world layette sets and they are SO CUTE. 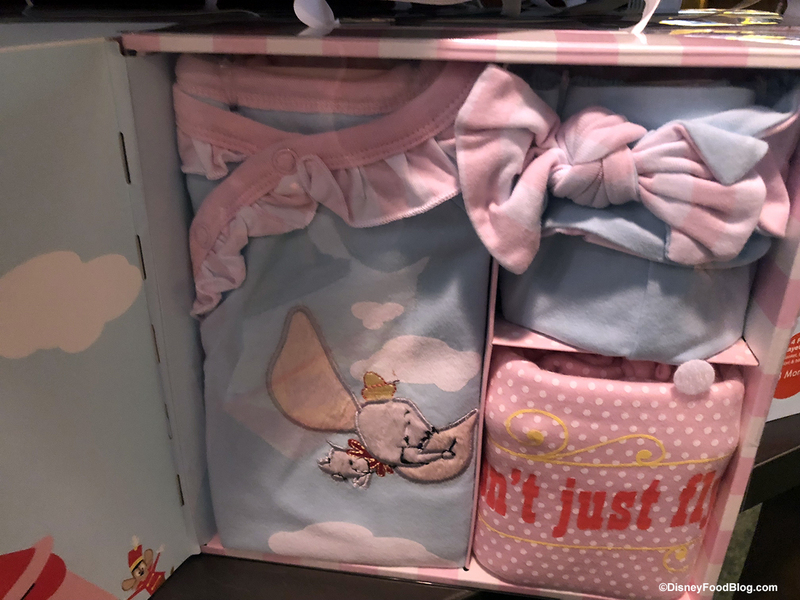 These would make such a sweet gift for the little ones in your life! and the Mad Tea Party! The premiere of Mary Poppins Returns is happening this week, and Walt Disney World has plenty accessories for Mary Poppins fans! 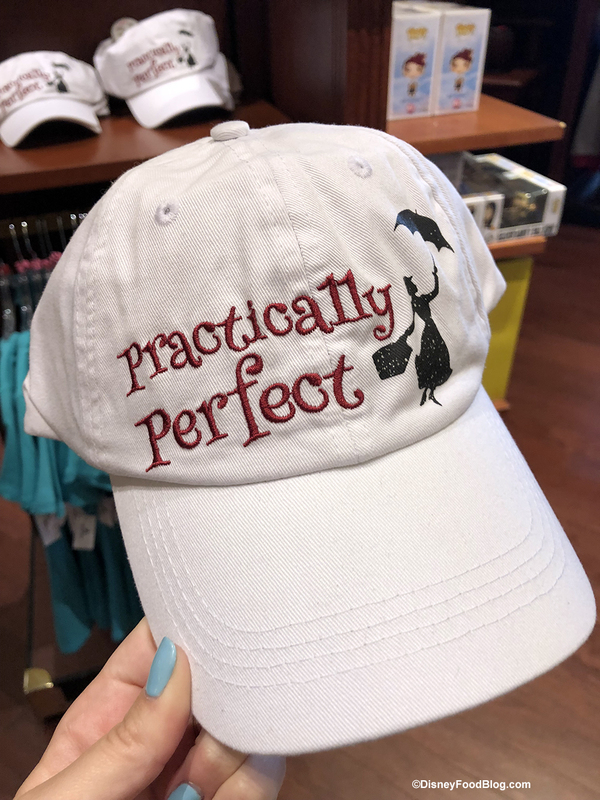 This Practically Perfect ball cap is a new arrival. 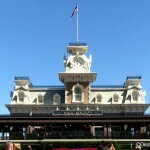 Need to take a little Disney magic back to the office? 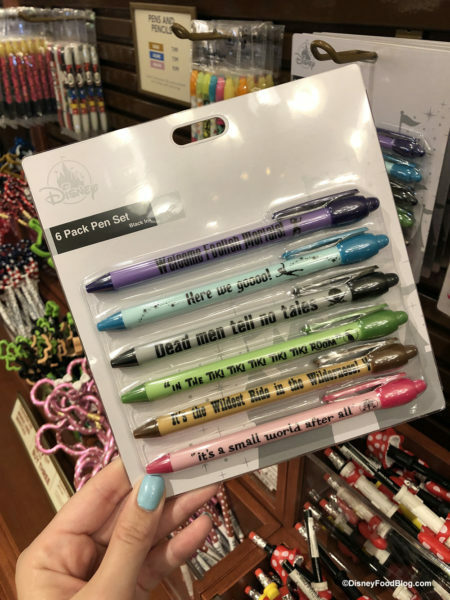 This pen set features quotes from beloved Magic Kingdom attractions. 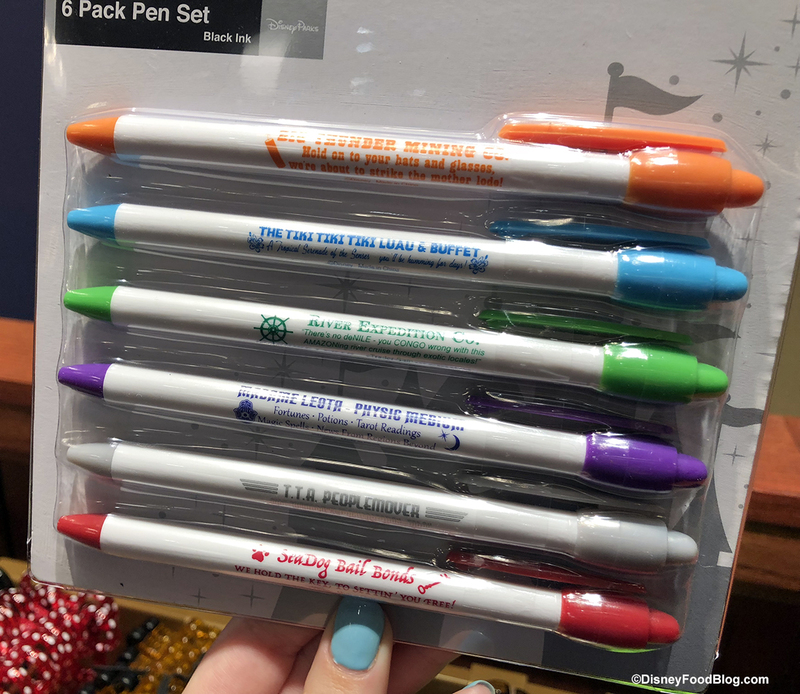 Or maybe this set of Magic Kingdom attractions-as-businesses pens is more your style! That’s everything new we spotted in Magic Kingdom this week! 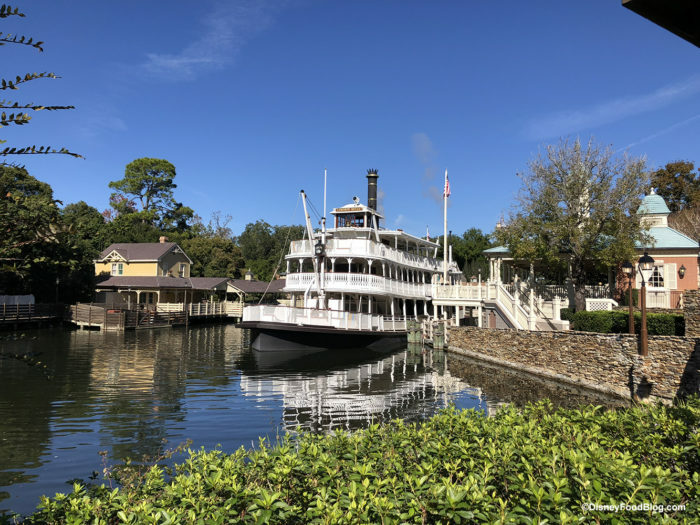 Stay tuned for more updates from Epcot, Animal Kingdom, and Hollywood Studios. 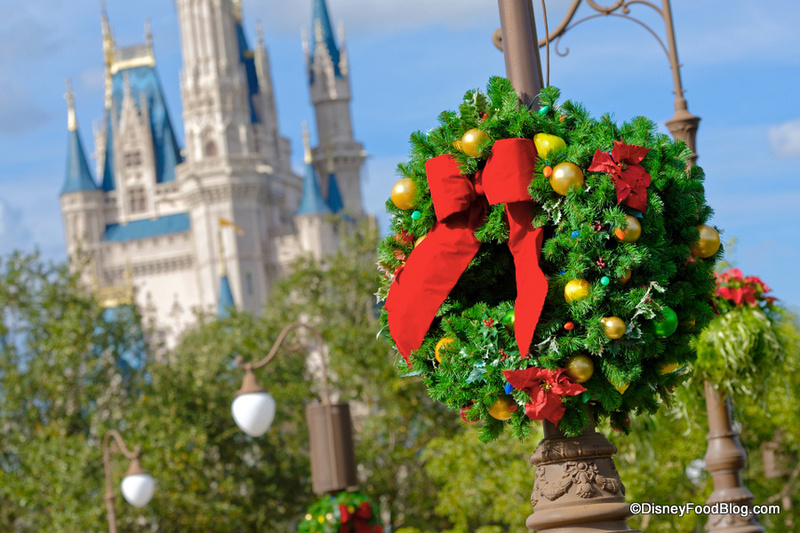 Have you seen something new or fun on your Disney adventures? 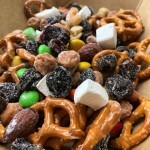 Be sure to tag us @DisneyFoodBlog on instagram! « Get Ready for the NBA Experience Coming to Disney Springs in Summer 2019!